Well, I can understand that it is very much essential to backup WordPress but as a new blogger, I did not want to spend money on it. Earlier I used to think only paid versions of Plugin can take a WordPress backup. But I was so wrong. I never knew the easy tools WordPress itself provides to back up the files. This process will not back up your image files. It will only store your text files. You can choose Posts, Pages or anything particular. I always prefer to choose ‘all content’ and Download Export File. It will generate an XML file which you can store in your computer. If any mishap happens and you need to put back your WordPress files. Here you can create a new username. 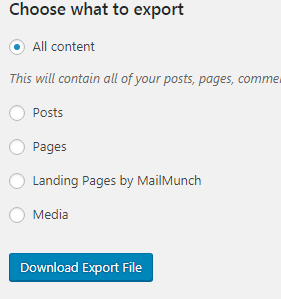 Select to download and import the file attachments and submit. As I already said that the above method was just for the texts. If you want some serious WordPress backup then there are multiple plugins. VaultPress is Jetpack’s backup service for self-hosted WordPress site. It automatically stores your backups in Dropbox, Amazon S3, FTP or you can email it to yourself too. It allows you to have a complete backup of your WordPress site and you can store it in the cloud or download it to your computer. It is also a free plugin which allows storing the backups in the cloud or on a computer. The Pro version also allows storing backups on Google Drive. 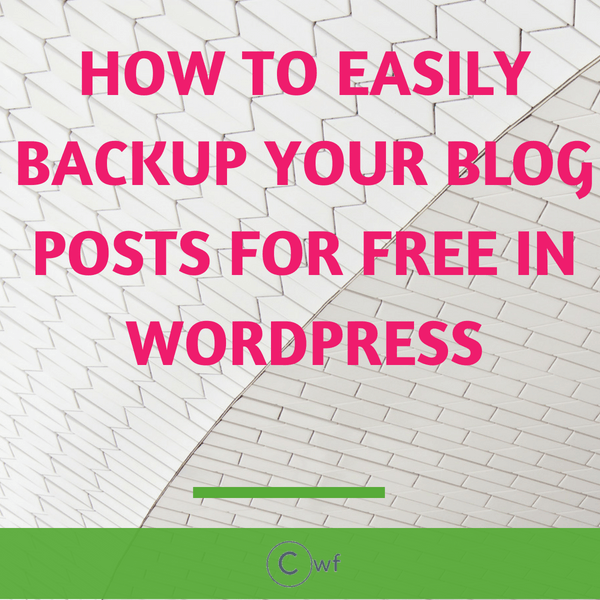 You can use any of the plugins available both for free or paid but do backup WordPress site. It is essential. You want to know about SEO, Google Analytics, WordPress or whatever related to blogging game check out the 12 days free blogging Bootcamp. Yes, it is free. So no need to worry about. 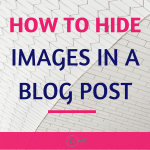 How to hide images in a post for Pinterest? How to maximize productivity by utilizing most of your time? 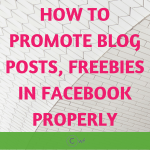 How to make your New blog look like a PRO ? Thank you so much for this post! 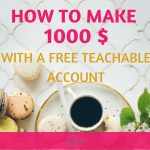 It was super easy to follow and implement the strategies you provided!